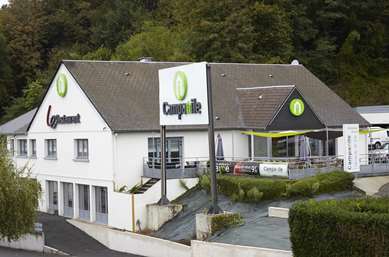 Located in the main university district of Maine, near highways A11, A81 and N157, this hotel is ideal for a stay in Sarthe country. In fact, it is not only easy to get to from the highway but we are also close to the city with the public transport: the tram is located 100 yards from the hotel, and will quickly get you to the historic center of Mans or its SNCF train station. The hotel itself was completely renovated in 2005, so we now have 2-stars. It offers comfortable, pleasant rooms, all air conditioned and with private washroom (including shower, toilet and sink). Other amenities include free enclosed parking, flat-screen TVs in the rooms and free Wi-Fi throughout the hotel. If you want to take advantage of your stay to do some sight-seeing, don't miss the famous Bugatti Race Track for the 24 Hours of Le Mans (15 minutes away by car). Our 69 air conditioned non-smoking rooms will enable you to have an excellent stay. 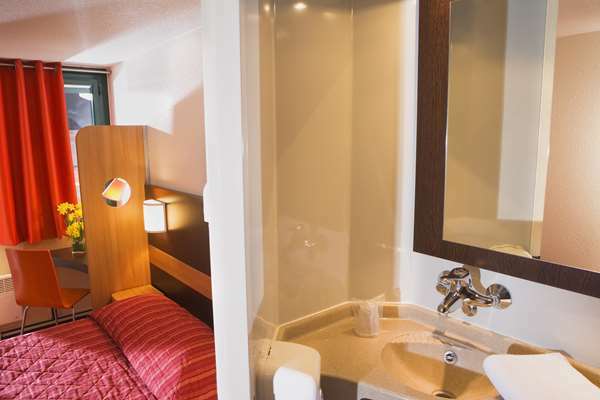 In fact, you will find a large fully equipped bathroom (shower, toilet, sink), quality bedding, a desk area, a flat-screen TV, with TNT channels, free Wi-Fi and a multitude of services to make your life easier. All rooms can accommodate 1, 2 or 3 people, whether it be in a single, double or triple room, so that each one has their own space. 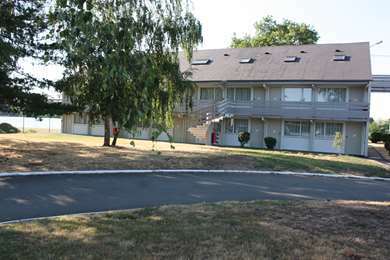 No one has been left out since we have 4 specially adapted rooms to welcome people with reduced mobility. 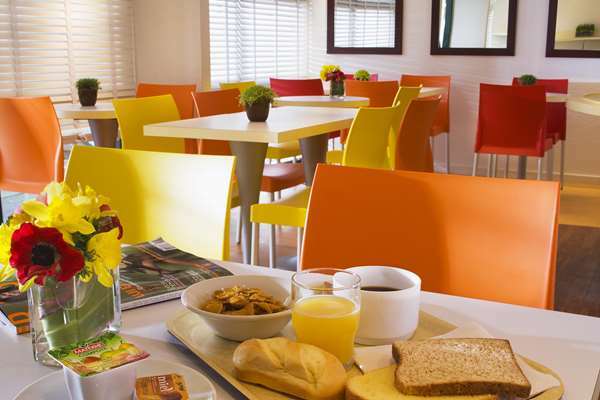 Start your day off on the right foot with the all-you-can-eat breakfast buffet, for only €5 (and only €2.50 for children age 10 and under, limited to 2 children per adult paying for breakfast). We arrived at around 11pm in the dark and it was difficult to find. You can see it from the road at the back but there is no entrance there. the satnav brought us to a carpark with no sign of the hotel. We drove out of the carpark and around the streets for a while and decided that the carpark must be where it was. we then found some gates that were closed at the back of the car park and saw the hotel but the lights weren't working on the name on the front so that's why we couldn't find it. There was a screen next to the gates that should have let us in after hours but it was broken and said go to reception. We did but the front door was locked and no one in reception. Went back to the screen and found a number to call - it didn't work. Eventually found a phone no. on the print out of our booking confirmation that I had luckily bought with us and this took us through to someone in the hotel who was on duty who let us in and let us into the hotel car park through the gates. This all took about 40 mins from when we arrived . We booked it because it was cheap for 6 of us. Had 2 rooms with 3 single beds in each. The beds were extra long -great for my husband at 6 foot 2 and 2 sons at 6 ft 4 and 6 ft3. and very comfortable. The showers were very nice. All was clean. We booked the breakfasts - 5 Euros each. Not really worth it. Not much choice, just convenient. I would have given 4 stars if we had found the place more easily. A good place for a stopover. This was a one night stop off. Having previously stayed at a premiere class in calais this was a much nicer building and the room clean and comfy. All you need. We were one adult and 2 young children. There is a play park about 50m down the path and a good pizzeria about 100m up the hill. Itbis in a quiet and quite pretty are. A good place to stop over.